Many wonder, “Why did the dinosaurs go extinct?” Experts agree that the meteor was the most significant contributor, but acknowledge other factors as well such as changing climate, food supply, disease, etc.. These were all at play no doubt, but until now there was no unifying theory to explain the rise and fall of the dinosaurs. The story of the demise of the dinosaur doesn’t start with their extinction but rather much earlier. The close approach of the moon set off a series of events that resulted in the utter devastation of the Permian Extinction. This cataclysmic event in the history of life on Earth set the stage for the emergence and rise of the dinosaur. After the Permian Extinction, it took millions of years before life was able to recover and begin to return to normal. The extinction left many niches vacant, for new species to exploit. 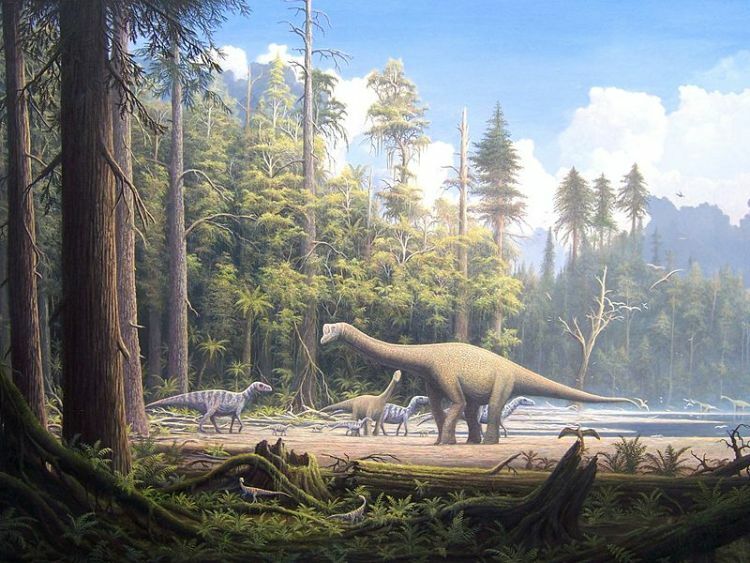 A slow march of new species, including the dinosaurs, came to dominate the drier Triassic period. The rise and fall of the dinosaurs is intricately tied to the energy of lunar tidal heating, dissipated by the close approach of the moon. A Close Approach Lunar Model (CALM) tells the story of how the dinosaurs obtained their great size and how they survived in what today are arctic latitudes. In the long run, however, these same forces which originally benefited the dinosaur, continued to work on the environment. Spoiler alert –ultimately they brought about the dinosaurs’ demise. 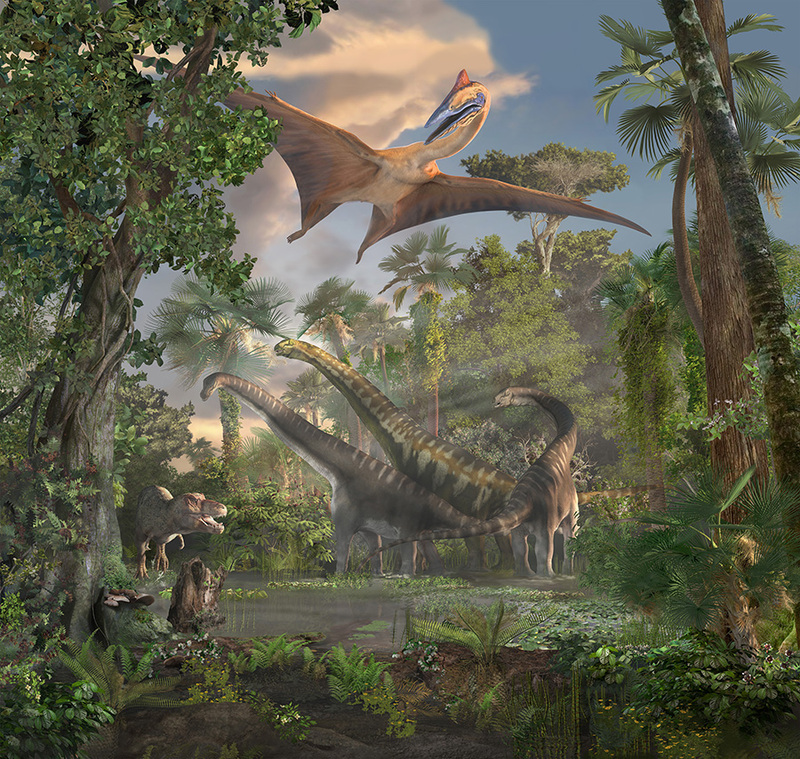 Environmental changes played a huge role in how the dinosaurs evolved and why they eventually went extinct. At the Permian-Triassic (P-T) Boundary a dramatic change in the style of plate tectonics occurred. Prior to this boundary, tectonic activity had been rather quiet, since the gathering together of the great continent of Pangea. This was a period of great calm. However, after the P-T Boundary, the modern plate tectonic regime that we know today began. As the orbital dynamics of a closer moon produced heat, which was dissipated into the interior of the Earth, this heating re-energized the convection currents of Earth’s interior. From the minimal pre-boundary rates prior to the Permian-Triassic boundary to sometime in the Cretaceous, when plate motion reached a peak, plate motion dynamics had made a major shift. 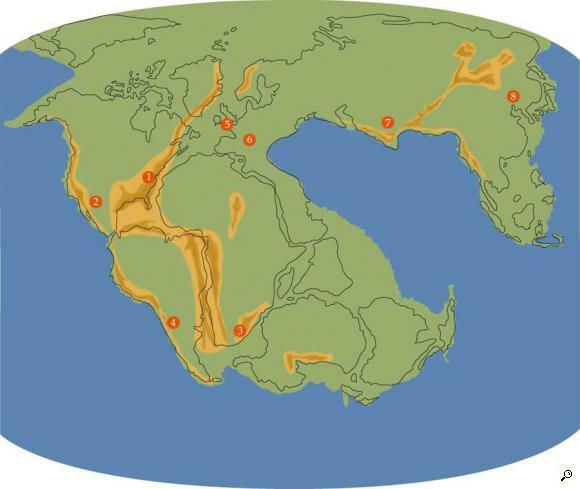 This tectonic shift not only brought about the break-up of Pangaea, beginning with the eruption of the Siberian Traps, but also caused changes in the atmosphere. As plate motion began to accelerate, plate subduction increased, and the associated rate of volcanic activity increased as well. Volcanic activity produced by the tidal heating of a closer moon began to pump the atmosphere full of CO2 and other volcanic gases and the atmosphere became denser and concentrated with green house gases. By the Jurassic period the atmosphere had become something like seven times the density of Earth’s current atmosphere. An atmosphere is the weight of the earth’s atmosphere exerted at sea level. A scuba diver knows that 33’ of the water column equals one atmosphere. Therefore if you dive down 33 feet you feel the weight of two atmospheres, one of water and one of air. Seven atmospheres is equivalent to a dive of about 200 feet deep. Anyone who has experienced a dive to this depth recognizes that things are a little different down there. It was the density of the earth’s Jurassic atmosphere that allowed the dinosaurs to achieve their great size. During the age of the dinosaurs, the creatures of the earth obtained gigantic proportions, some weighing as much as 70 tons. All forms of life averaged two to three times the size and four to nine times the mass of today’s equivalent life. The fact that the physiology of this size does not meet with the current physical laws of the earth has remained one of the major mysteries surrounding the dinosaurs. 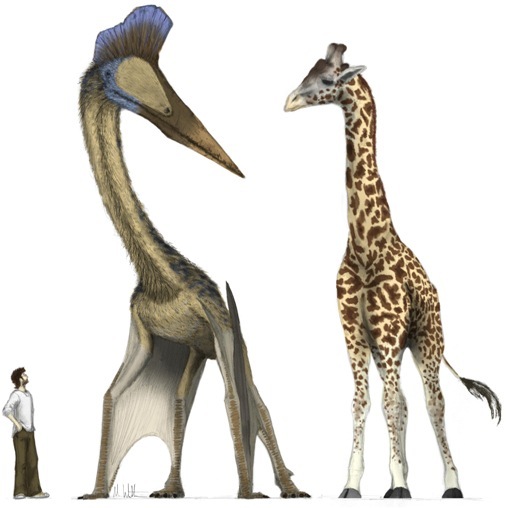 One of the dilemmas of dinosaur size is the question of what gave long neck dinosaurs the ability to pump blood to the head when raised to their full height. It does not seem to be anatomically possible, by today’s standards, for the heart of the dinosaur to be able to pump blood to its brain. It is also not known how the large dinosaurs seemed to defy gravity and generally withstand the crush of their own weight. Plants too did not have the woody structure that today’s plants have developed in order to stand erect against gravity. A by-product of this increasing atmospheric density was higher temperatures; the Jurassic was a hot and tropical time on Earth. Coral reefs extended as far as 60 degrees latitude, which today is represented by the southern tip of Greenland. In comparison, today coral is limited to within about 23 ½ degrees from the equator. It is interesting to note that today the Arctic Circle is at 66 degrees north latitude, only some 400 miles away from where coral once lived. Dinosaurs amazingly lived within 5 degrees of the poles (or 350 miles); this is equivalent to them living in the middle of Antarctica. With the dense atmosphere, it is conceivable to imagine the poles being warm. This is the thinking today of global warming. More greenhouse gases mean a warming arctic. But this does not answer how the dinosaurs lived near the poles, because warmth is not all that is necessary to solve the problem. On Earth today 5 degrees from the pole is dark for months on end. It might be warm enough for the dinosaur, but what would they eat during these long nights? This is where a more vertical axial tilt of the earth, as proposed by the CALM, comes in. If the Earth had a vertical axis, there are no areas of polar night, like that of a tilted Earth. It makes perfect sense that with greenhouse warmth, 12 hour days, and 12 hour nights, the dinosaur could live near the poles. The sun’s rays would be “weaker” but reliable. 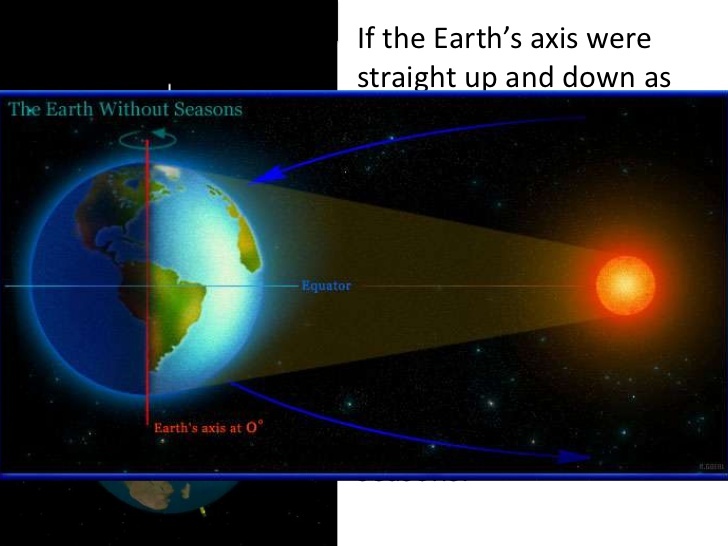 The CALM suggests that, during the close approach of the moon, the earth’s axis was near vertical and therefore there were no significant seasons. The combination of a vertical axis and a dense atmosphere explains how the dinosaurs were able to live near the poles. Fossil records back this up. They indicate that the trees of the carboniferous age lacked the seasonal growth rings of modern trees. The absence of annual rings in the trees of the coal forests permits the conclusion that the plants experienced no annual rhythm. Evidently, there was no occasion for seasonal adaptation (such as deciduous plants) in the coal forests, on account of the unusually uniform climate. There is evidence of wet/dry periods, which appear to be a standard “savanna” environment of the primordial age of the Paleozoic period. But this has more to do with one massive Pangean continent than with seasons and temperature change. This was a consequence of the great continental interior of Pangea. Climate on Pangea worked much like the climate of central Asia today. 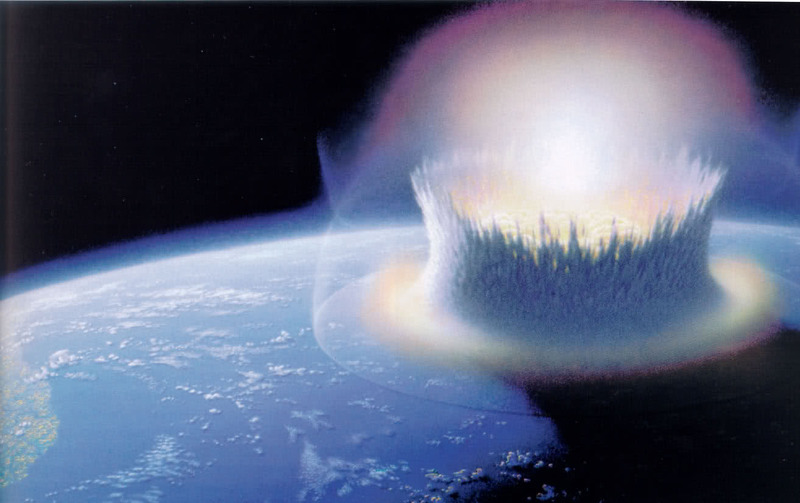 The accepted explanation for why the dinosaurs went extinct is the meteor impact. Let’s explore different scientific views on the subject. Some scientists feel that sea-level changes played a large role in the extinction of the dinosaurs. Those who correlate mass extinctions with marked sea level fluctuations point to a variety of environmental changes that would ensue. Lower water levels and seasonal extremes of temperature would adversely affect terrestrial animals. Marine organisms would suffer from more variable water temperatures and drastic reduction of habitable area. Wiedmann appealed to changes in sea level as the cause for what he considered to have been the gradual decline of large invertebrates, such as ammonites and belemnites, towards the close of the Cretaceous. As sea levels fall it gets colder. Sea level seems a factor in mass extinctions, but no single factor was completely responsible for why the dinosaurs went extinct. 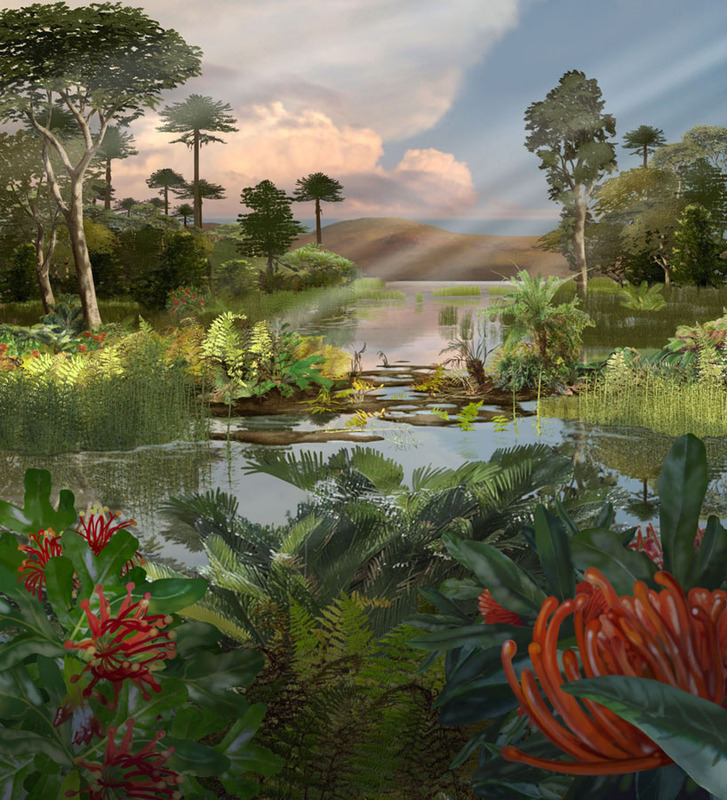 Van Valen of the University of Chicago proposed that it was the shift from subtropical to temperate vegetation, rather than the cold itself that killed the dinosaurs. He suggested that the dinosaurs could not stomach this form of vegetation; furthermore, the increase of deciduous trees which shed their leaves, made less food available in winter. The great restriction and final disappearance of the continental seas at the end of the era, the rise of highlands from Alaska to Patagonia, a sharp drop in the temperature accompanying the Laramide uplift, the vanishing of the swampy lowlands, and the vastly changed plant world, have all been invoked to account for the dinosaur extinction. While all these factors played a role, the CALM puts forth that it was seasonality, brought on by the close approach of the moon, that sealed the fate of the dinosaurs. An asteroid impact at the K/T (Cretaceous/Tertiary) boundary may well have been responsible for extinctions and the loss of the marginal species around the world, but the impact theory cannot account for the millions of years of the dinosaurs’ decline prior to the meteorite impact. The rise and fall of the dinosaurs is closely linked to the aftermath of the close approach, tidal heating, and subsequent retreat of the moon. As interesting as the rise of the giant dinosaurs was, what’s almost more interesting is that they entered a period of steady shrinking, until they eventually went extinct. The question is why did they shrink? As the moon retreated the tilting of the earth’s axis increased. With time seasonality became noticeable. The retreating moon also caused tidal heating to wane. This reduced gas emissions and mid-ocean volcanism. The density of the atmosphere lessened and with it so did the size of the dinosaurs. They shrank until their eventual extinction. The three headed monster of a thinning atmosphere, the falling of sea levels, and the increasing seasons from the tilting axis drove the dinosaurs to the brink of extinction. Thus the so called K/T boundary may have been a time of an asteroid strike, the commonly accepted “nail in the coffin” theory of the demise of the dinosaurs, but the ultimate stroke was the orbital disaster brought on by the moon’s alteration of the earth’s spin dynamics. The close approach of the moon created a transitory environmental Era that was ideal for the development and rise of the dinosaurs, but it was just that, temporary. As the earth adjusted to its new set of circumstances, following the Mesozoic era, the conditions changed, ultimately bringing about the demise of the dinosaurs. The Close Approach Lunar Model provides a comprehensive picture of the rise and fall of the dinosaurs that is intricately tied to the energy of a closer moon and its subsequent retreat throughout the Mesozoic era.